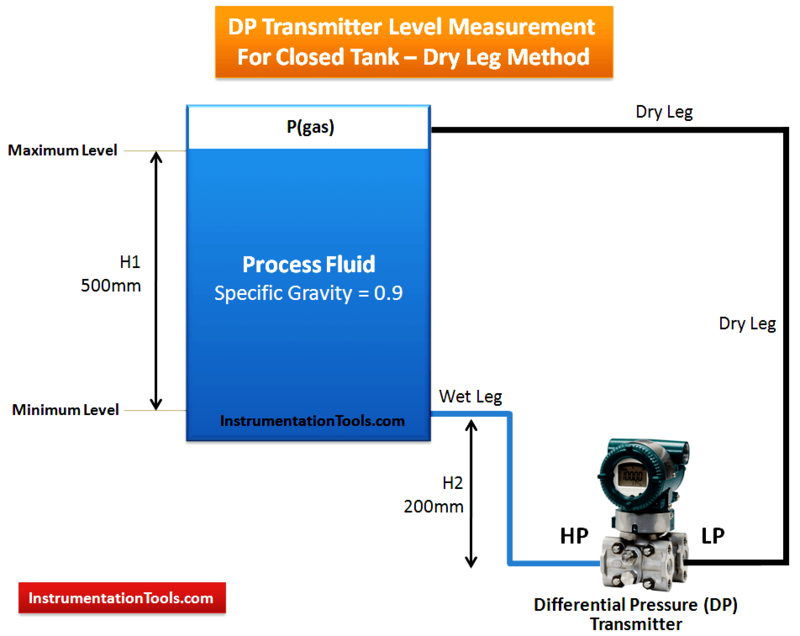 Firstly, I need to clarify, that a DP transmitter is not only used for measuring flow, as the user referred to in his question, to a DP flow transmitter. A differential pressure transmitter (or DP cell) literally measures any differential pressure across its High and Low pressure measuring ports, and provides an output proportional to the difference in pressure between the High and Low pressure ports. If you look at the mechanical hydraulic properties of a liquid inside a vessel, you will remember that the liquid exerts a specific pressure on the bottom of the vessel, based on the liquid level height (h=meters), the specific gravity (g=9.8 m/s), and the density (rho kg/m3) of the liquid. The formula for calculating this pressure is P = rho x g x h.
A DP cell can thus be used to measure the pressure of the liquid at the bottom of the vessel, and scaled to give a percentage level value proportional to the pressure measured. In an open vessel scenario, a standard pressure transmitter can also be used. However, in a closed vessel, a DP cell must be used. The High pressure port measuring the bottom pressure of the liquid inside the vessel, and the Low pressure port, measuring the top pressure of the vessel to compensate for non-atmospheric pressures inside the sealed vessel. Pls explain the level calculation when the transmitter is placed above the lower tapping and its a wet leg model.